Figuring out the direct competitors to the all-electric Smart ForTwo can be tough; with the demise of the tiny Scion iQ and the all-electric Mitsubishi i-MiEV, it’s competing with much less expensive minicars or the least pricey all-electric models. 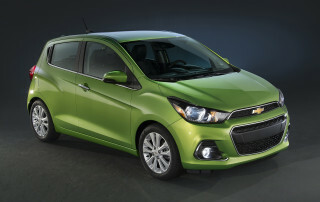 The Chevrolet Spark is a much better vehicle than the Mitsubishi Mirage; both come as five-door hatchbacks, but the latest Spark has modern conveniences and a touch of dash, while the Mirage is just slow, crude, and cheap. The all-electric Fiat 500e is available on cheap leases and its rear seat is hardly usable, so it’s a direct competitor—but it’s only sold in California. 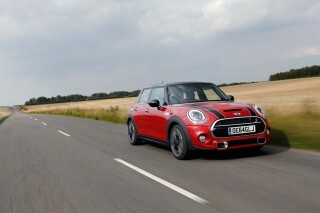 The Mini Cooper hardtop is stylish, fun to drive, and small, though not nearly as small as it used to be, so perhaps it’s a competitor in the cheeky, unusual arena. 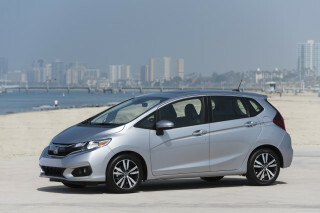 But we keep coming back to the Honda Fit, admittedly one size up. 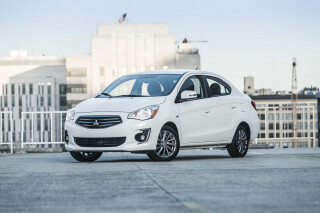 It’s our favorite subcompact urban hatchback, and the spacious and flexible interior gives it unparalleled utility in a package that’s still (relatively) easy to park. The 2018 Smart ForTwo, now sold only as an electric vehicle, remains the easiest car in the U.S. to park on crowded streets—and low battery range will keep it mostly urban anyway. The 2018 Smart Fortwo has a simplified powertrain lineup this year: all electric, all the time. It's available as a coupe or coonvertible. It now comes in three trim levels—Pure, Passion, and Prime—and every Smart can be customized with a wealth of dealer options as well. 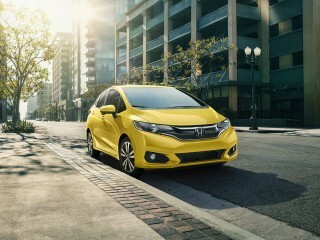 If ease of parking is your primary concern, the Smart should be at the top of your list. No other vehicle zips as quickly or easily into tiny sports, or has the ability to do a U-turn in such a small radius. But the electric powertrain requires a charging station, and the limited cargo space and two seats are a compromise compared to a fuel-efficient four-seat economy car. 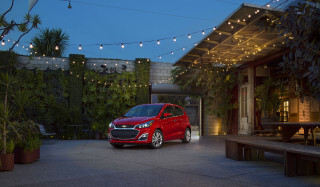 In the end, many buyers may find a small hatchback like the Honda Fit or Chevy Spark to be not only more versatile, but also less expensive than the electric Smart’s starting price of roughly $25,000. The 2018 Smart ForTwo remains a tiny car, but it has road presence from some angles and the interior is modern, if basic. The 2018 Smart Fortwo is the third year of the car’s only full redesign, and it continues to offer a cheeky look given its tiny proportions. The width of the car gives it road presence from the front, where its truncated length (just 8-feet-8-inches long) isn’t apparent. It’s still tall and slab-sided, mind you, and the snub nose that gives it more of a “two-box” look from the side may actually shorten the cabin visually. The basic car is a two-door coupe, but the convertible model with a power-operated roll-back cloth roof is the sole soft-top electric car on the U.S. market this year. Removing the beams over the doors slightly increases the open-air feeling, though the roll bar over passengers’ heads remains. The so-called Tridion safety cell that outlines the body structure can be specified in a color that contrasts with the body panels, which are offered in dozens of hues. A small fixed pane sits at the back of each side door, and an upward bulge in the belt-line holds the door handle. The cabin is modern, but simple. Behind the steering wheel, a small instrument cluster houses a speedometer around the outer edge, but a small dash-top pod next to the windshield pillar contains the tachometer. Seats are cloth or leather, with some trims adding contrast stitching, and the dashboard and door inserts are covered in a coarse-grained cloth. The 2018 Smart ForTwo’s standout features are ease of its parking, tight turning, and smooth electric drive; otherwise, it’s basic transportation. The 2018 Smart Fortwo is now offered only as an electric car; the version fitted with a gasoline 3-cylinder engine and a manual gearbox or direct-shift automatic transmission is gone. That makes it smoother, quieter, and punchier off the line, though its range is limited at 70 to 80 miles (we’re still awaiting final EPA ratings). Replacing the gas engine in the rear of the electric Smart is a 60-kilowatt (81-horsepower) electric motor that puts out 118 pound-feet of torque. It drives the rear wheels through a single-speed transmission, and is powered by the 17.6-kilowatt-hour lithium-ion battery pack sitting under the passenger compartment. With its battery weight at the bottom, the tall Fortwo has a suitably low center of gravity, and Smart says it’s only slightly heavier than the gas-powered model. It grips the road well on 15- or 16-inch tires, and the “rather strict” traction control (to quote a Smart engineer) stays continuously engaged to ensure that the car remains “fun to drive, but not beyond.” In other words, the electronic system will tame any oversteer in what is still a car with a very short wheelbase and a rear weight bias. Thankfully, the Smart now feels confident and secure for the few times drivers may use it at highway speeds. 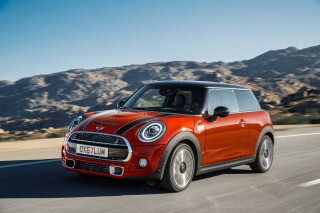 The minuscule turning circle may be the Smart’s best parlor trick. The new generation is 4 inches wider, providing deeper front fender wells for sharper wheel angles—they now pivot to a remarkable 45 degrees—to give a turning circle of just 22.8 feet. It's grin-inducing, and drivers may find themselves doing U-turns for fun, or entire 360-degree circles within the width of an average two-lane road. In urban traffic, the 8.8-foot-long Smart can be deftly maneuvered and slotted into tiny parking spaces like no other vehicle. The 2018 Smart ForTwo accommodates two people comfortably, but remains basic transport with some quirks. The two seats are comfortable, although long-legged occupants may find the lower cushions a bit short. Even those taller than 6 feet will find the head room ample, and the high and upright seat position is comfortable. (Pro tip: Very tall riders should remove the tire inflator and sealant stored under the passenger toeboard, which opens up another 4 or 5 inches of leg room.) Not surprisingly, outward visibility is good: the car ends about 2 feet behind the driver’s shoulders. For a car with such a short wheelbase, the Smart rides decently. It soaks up most road irregularities and is surprisingly smooth and quiet on most surfaces. The electric motor, of course, is quieter than the gas engines were, so cabin noise is lessened this year. Interior materials include various hard plastics, coarse-weave cloth surfaces, and standard cloth or optional leather for the seats. The interior is still basic, but it’s no longer as grim and utilitarian as the previous generation was. The small instrument cluster behind the steering wheel holds a conventional dash display, with a central display holding knobs and dials for cabin controls as well as a small display screen. There is a cargo bay over the rear-mounted motor; despite the high floor, it holds 9.2 cubic feet, roughly the same as a Fiat 500 and more than that of a Mini Cooper. A retractable cargo cover behind the seats removes and stows in a second set of mounting points just ahead of the load floor, so it can be carried with the car even if cargo in the rear sticks up beyond the seat. Interior storage, however, is made up only of a pair of smallish door pockets, two cupholders, and a drawer in the console that opens sideways into the passenger footwell. Build quality on the cars we drove was good; all Smart models are built in Hambach, France. We can’t rate the 2018 Smart ForTwo on safety because not enough crash-test data exists. While the NHTSA awarded last year’s gasoline version four stars overall, the agency specifically didn’t rate the Electric Drive model—which is the only powertrain available this year. The IIHS offers only partial ratings: the Smart received two ratings of “Good,” the highest possible, for side crash and moderate-overlap front crash tests. It remains unrated for the rest of the IIHS test suite, however. The Fortwo coupe and cabriolet use an extremely stiff safety cell to protect occupants. The current generation of the two-seater has eight airbags as standard equipment. A rearview camera will be standard, and Smart also provides Crosswind Assist, which brakes and steers the car automatically to counteract gusty conditions that could push the Fortwo out of its lane. What’s missing, though, are the newer electronic active-safety systems that are quickly migrating into even the least expensive cars from large makers. Those include automatic emergency braking, lane-departure warning or active lane control, and adaptive cruise control. Blind-spot monitors, we have to admit, would likely be superfluous in a car that ends just a couple of feet behind the driver. The 2018 Smart ForTwo isn’t overflowing with features or options, but it’s competitive with other small cars. All Smarts come with automatic climate control, power windows, cruise control, LED running lights, a multifunction steering wheel, and Bluetooth streaming. The base Pure trim level can be pegged by its 15-inch steel wheels, covered in silver plastic hubcaps. The Passion trim is meant to be modern and stylish, Smart says, with its two-tone interiors—black with gray, white, or orange—plus a leather-wrapped steering wheel, heated and powered door mirrors, and a retractable cargo cover. The Prime is elegant and classic, adding silver trim and grille, gray accent stitching on its black leather seats, and leather wrappings for both the steering wheel and gear knob. It gets more standard equipment, too, including a panoramic roof, exterior LED lighting, fog lights, heated seats, and a rain sensor. An optional Sport package adds 16-inch alloy wheels and a premium JBL sound system rated at 240 watts, with eight speakers (which is a lot for two people). A further variety of factory and dealer-installed options gives buyers the chance to configure a Smart unlike any other on the road. We weren’t impressed with the Cross Connect smartphone app, which requires a $100 cradle in which to mount the phone to the center display. When the car is moving, the phone sits horizontally, providing navigation and other functions. The beta version we tried was slow and buggy (we need to retest it), and Smart has not said whether it plans to offer Android Auto and Apple CarPlay, which would eliminate the need for a custom app altogether. Like most electric cars, the Fortwo has an EcoDrive coach that provides tips on energy-efficient driving and a navigation mode that uses the phone as a processor (an in-dash navigation system is also coming, Smart says). It will play stored music, and its radio mode turns the phone into a control panel for the car’s radio. 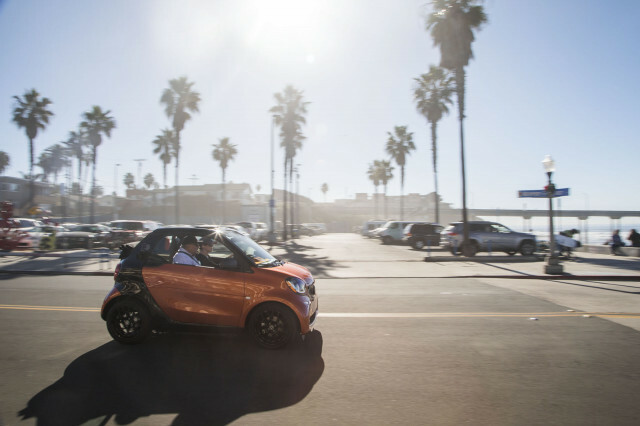 A Smart Spots function lets drivers flag Smart-sized parking spots that are too small for a conventional car, and share them with other ForTwo drivers. Now sold only as an electric car, the 2018 Smart ForTwo gets our highest possible green rating. The 2018 Smart Fortwo now comes only as an electric car. The gasoline version of the latest generation of two-seater that launched for 2016 is gone, victim of low gas prices and persistent low sales. The EPA hasn’t yet published range or efficiency ratings for the 2018 models, but Smart says the car will go 70 to 80 miles on a single battery charge. As always, the “wells-to-wheels” carbon emissions of the electric Smart Fortwo depend on the grid used to recharge it. But in California, the Northeast, and many other areas of the U.S., every electric car emits less than even the most efficient hybrid car—and as the grid gets cleaner, so does the car. Looking for a different year of the smart fortwo?